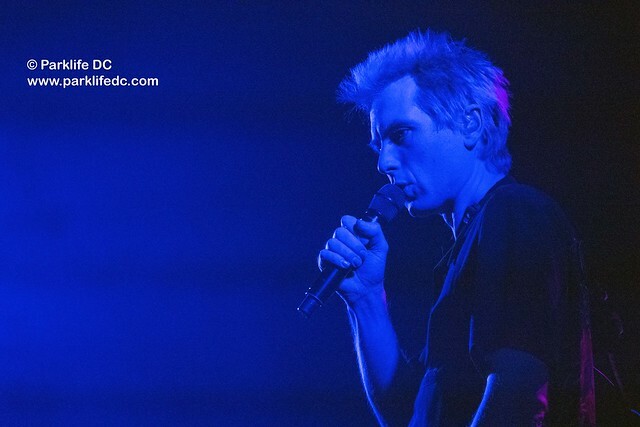 Posted on 04/16/2018 by Mickey McCarter	in Live Review. 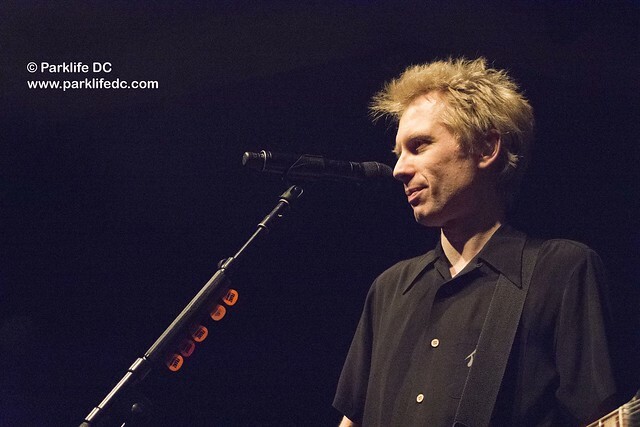 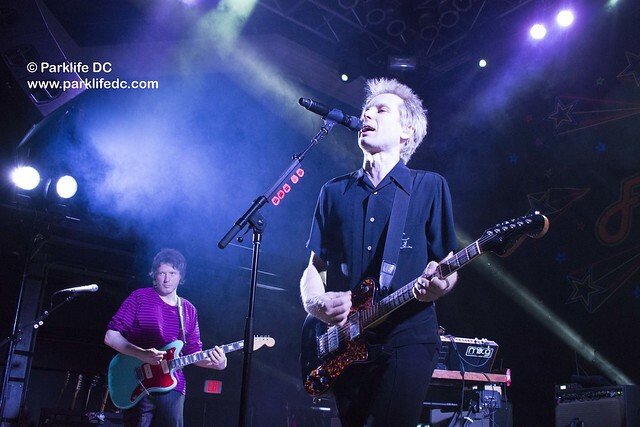 A sold-out audience fell in love once again at 9:30 Club with a retooled Franz Ferdinand, who exhibited fine chemistry and charisma in their first official appearance in DC on Wednesday. 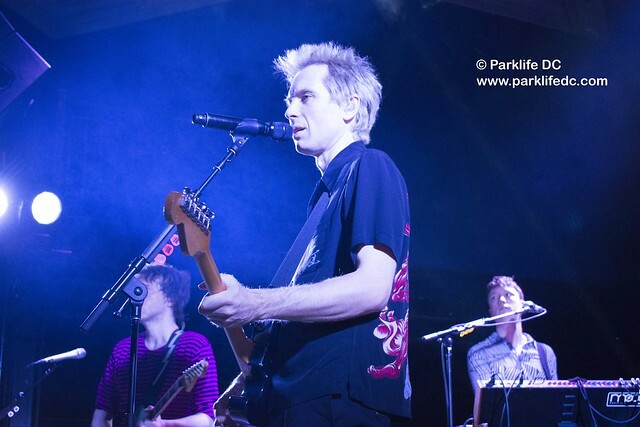 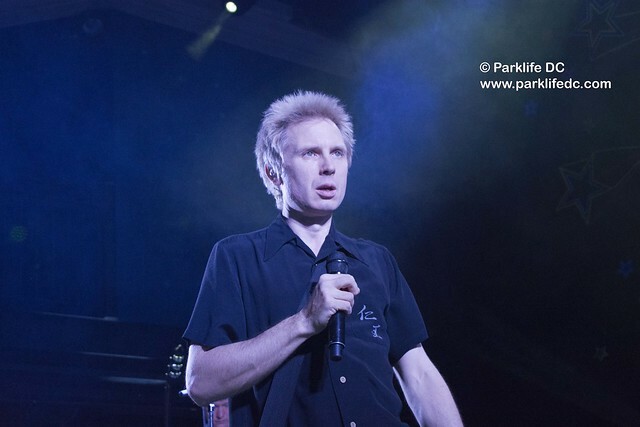 Frontman Alex Kapranos, who perhaps has experimented a bit too much with his hair lately, brought around his quintet from Glasgow, showcasing the talents of new members Julian Corrie on keyboards and Dino Bardot on guitar — replacing founding member Nick McCarthy who bowed out in 2016. 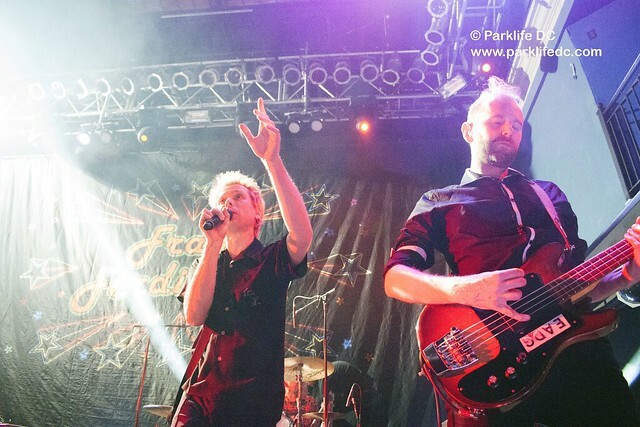 Thankfully, the two new members fit the revitalized band like a glove, and Franz Ferdinand struck like five fingers of a hand smoothly swiping obstacles out of your way in the name of a better day. 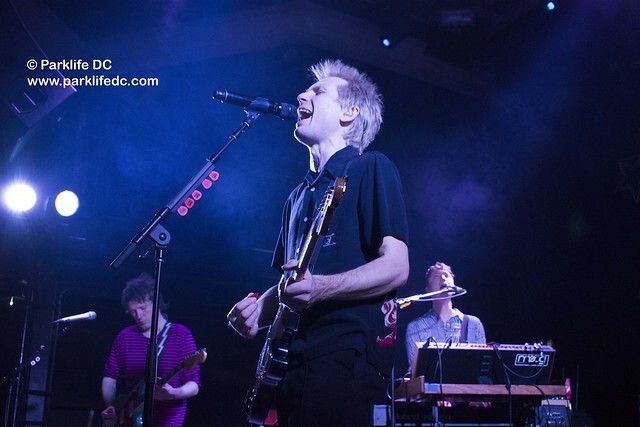 Franz Ferdinand performed at 9:30 Club in the band’s first appearance there since 2004 in support of Always Ascending, a fifth studio album released in February via Domino Recording Co. 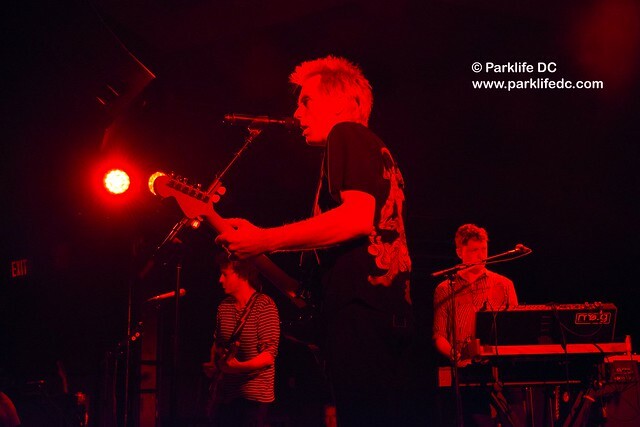 The permanent addition of Julian aka Miaoux Miaoux on synths and the resulting superb mix of instruments without the dominant Nick imparted a smooth gloss to the new songs, moving the needle for Franz Ferdinand from glam-kissed post-punk into a consistent new wave. 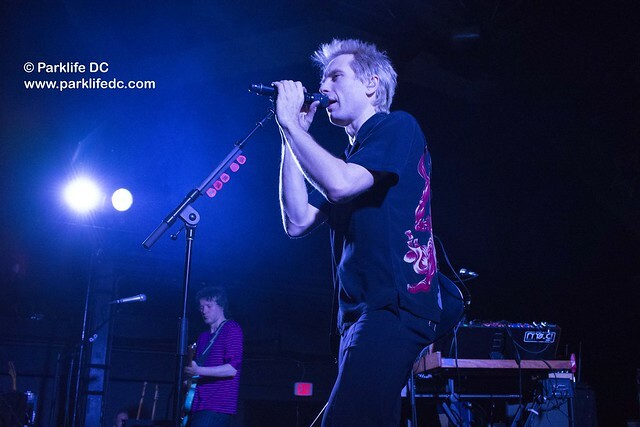 And given that the new songs are so agreeable, it is little wonder that Franz Ferdinand focused on the new album with eight selections out of the 18 songs performed at 9:30 Club. 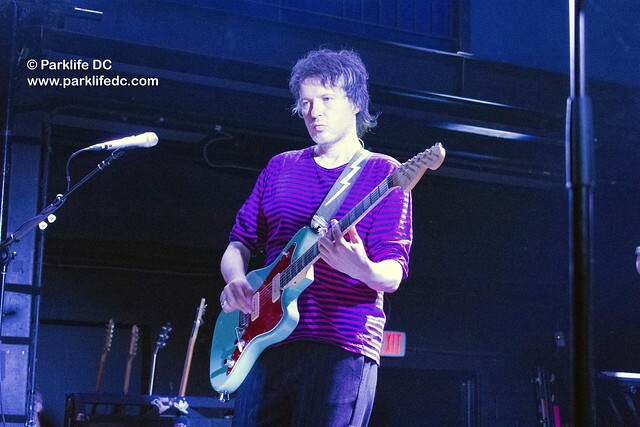 Alex and company began the show with the uplifting “Always Ascending,” the title track from the new album, and the audience took to it right away. 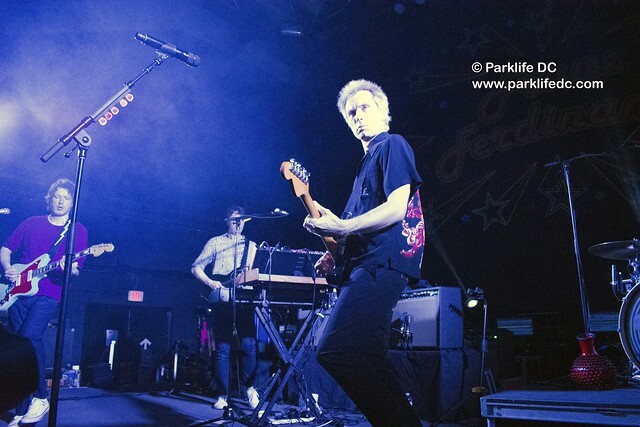 Shrill gasps of excitement reverberated throughout the room as if Franz Ferdinand were still the hot new band introducing themselves for the first time. 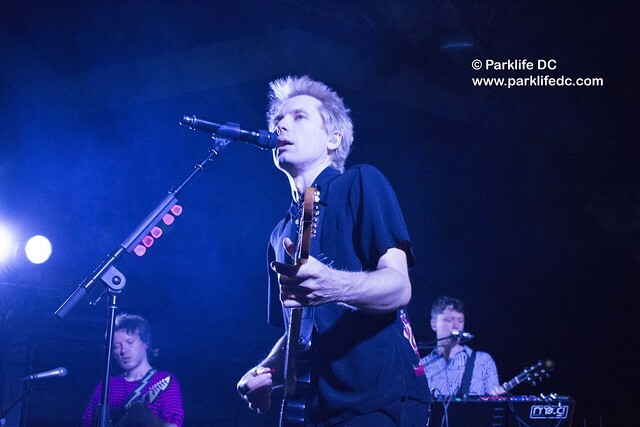 Combining that “It” factor with worldly experience, Franz Ferdinand never let the crowd down as they owned the stage in a well-received performance. 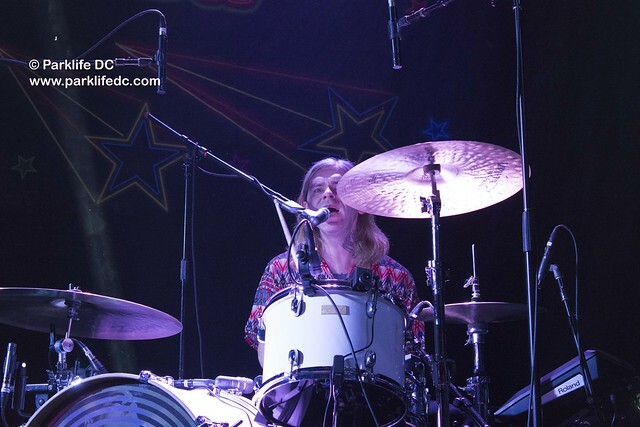 The band’s chops were promptly on display with the second song — “The Dark of the Matinee,” a crowd-pleasing number from their self-titled debut album, and the Scots also ran like a finely tuned machine through the high energy of “Do You Want To” from their stellar second album, You Could Have It So Much Better. 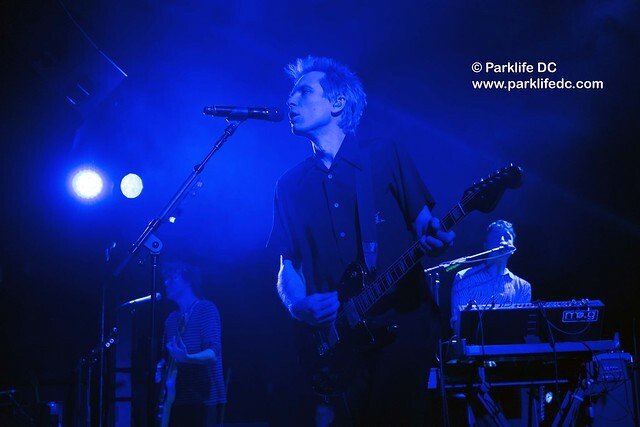 Speaking of that album, Franz Ferdinand surprised and pleased with a midset performance of “Walk Away,” which inspired a hushed audience singalong that left everyone smiling. 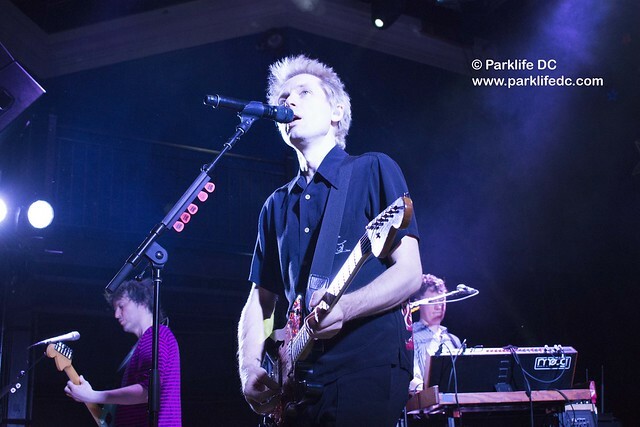 Franz Ferdinand only nodded to their third and fourth albums with one song a piece — “Ulysses” from Tonight: Franz Ferdinand and “Love Illumination” from Right Thoughts, Right Words, Right Action. 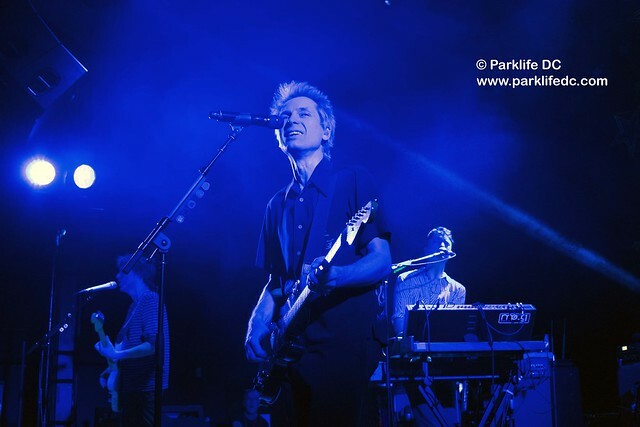 Both selections proved to be the right song at the right time for the Scottish gentry, who sailed along with a wink and a bob. 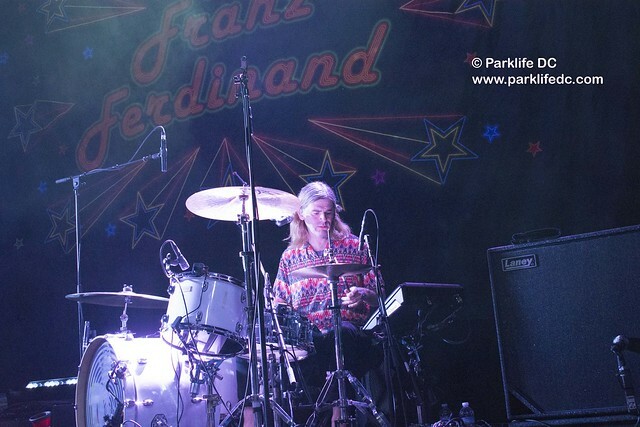 Among other songs, “Ulysses,” which closed the main set, shined a bright light on the terrific talents of the band’s powerful rhythm section, bassist Bob Hardy and drummer Paul Thomson, who in many ways continue to serve as the backbone of the compelling Franz Ferdinand sound. 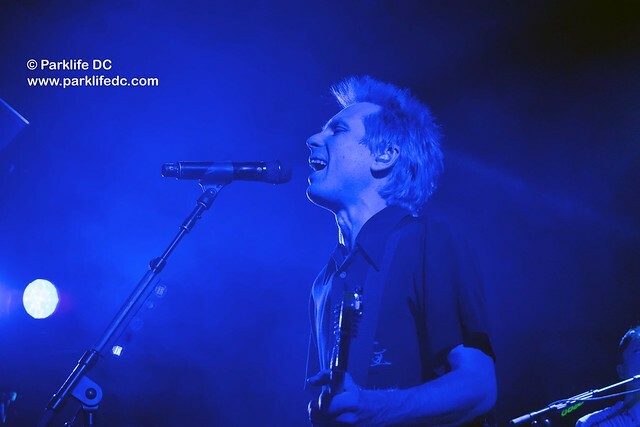 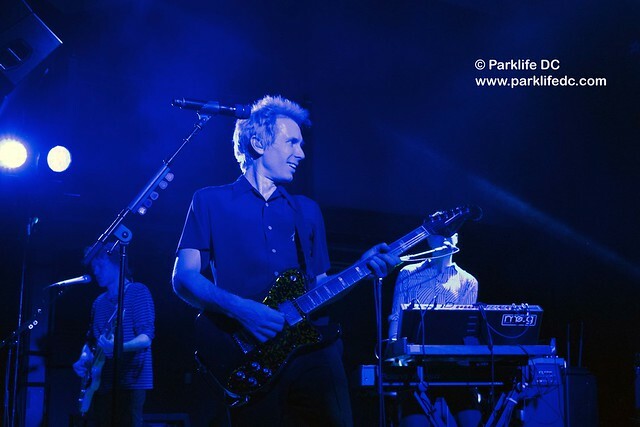 The midpoint of the show, where Franz Ferdinand inserted “Walk Away,” proved to be one of the most exciting parts as that song came on the heels of “Do You Want To” and preceded “Lois Lane,” one of the strongest songs from the new album. 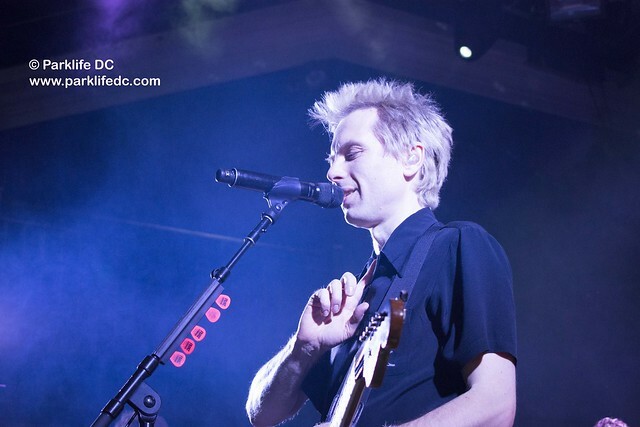 Its tempo changes were reminiscent of classic Franz hits while its upbeat refrain of “Choices/You make good choices/To change our world/So you could be happy” stuck instantly to the memory, forever sanguine to a beat. 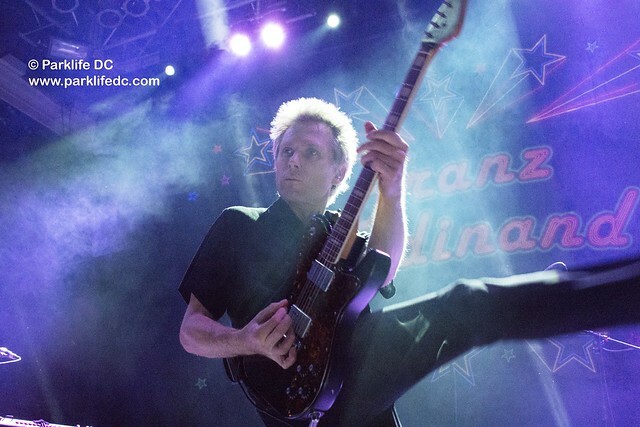 Tonight, Franz Ferdinand make a second appearance at Brooklyn Steel and they remain in the United States for another month to close their tour in Oakland, California, on May 17. 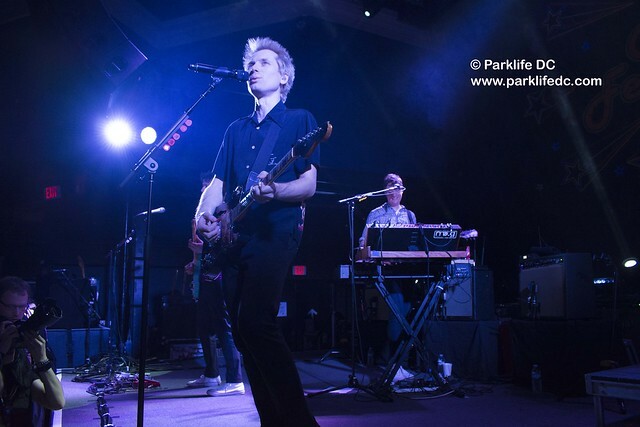 Seeing them perform remains a wholly thrilling experience, and you’ll surely enjoy the versatility of the refreshed lineup, who sound both familiar and re-energized at the same time. 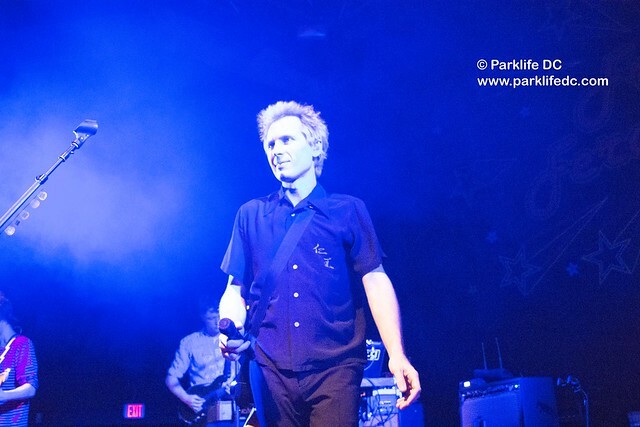 And of course, Alex stands tall as the stupendously charismatic frontman that makes Franz Ferdinand so watchable at the end of the day. 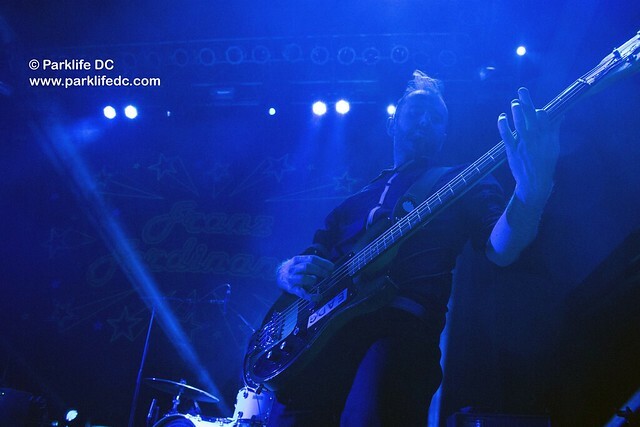 Here are some pictures of Franz Ferdinand performing at 9:30 Club on April 11, 2018.